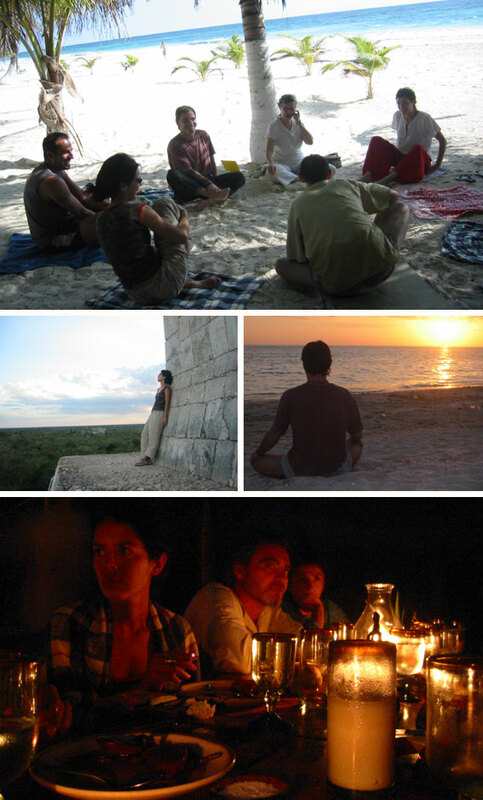 29 Mar THE MAYAN WORLD, the yoga way. 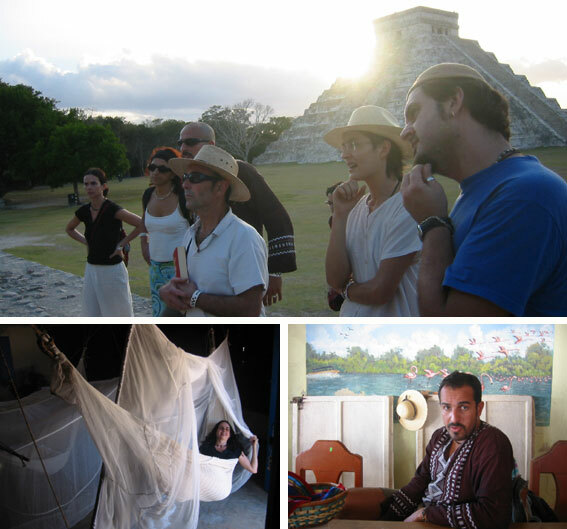 Ten days in the Yucatan peninsula went as fast as the wind. It was quite an inside-outside journey to tour this magical land of the Mayas along with our daily Kundalini yoga ‘sadhanas’. 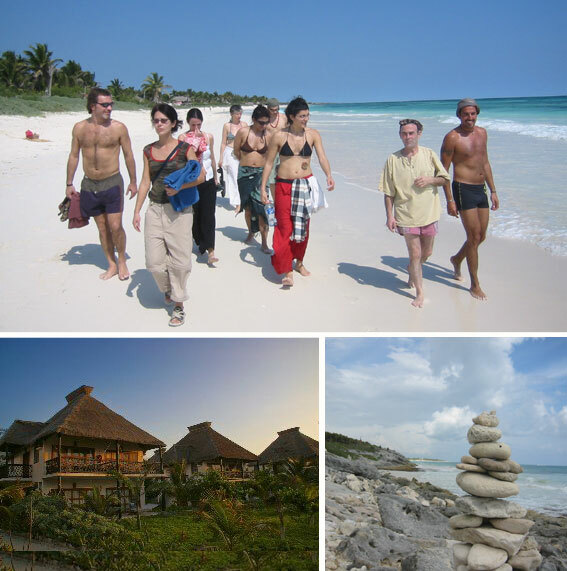 We started at Los Lirios – a stunning eco-lodge – by the beach. 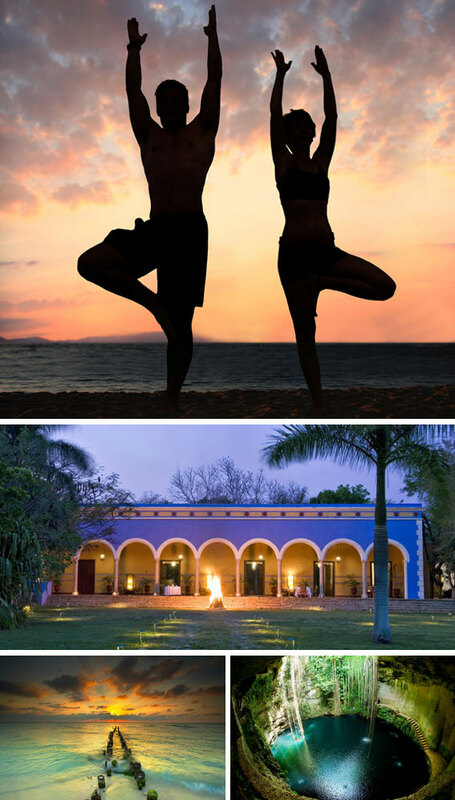 Waking up with the sea breeze to our morning yoga and an organic breakfast by the beach. Afterwards, we were more than ready to enjoy this turquoise world with open eyes. We continued our journey discovering the ruins of Tulum, Ek Balam, Chichen Itza and swimming in the sacred cenotes (natural wells). A unique experience: climbing ancestral ruins and sleeping in hammocks in an authentic Yucatecan Hacienda.